Using technology and statistical tools, Scarpino maps the patterns of global disease epidemics. His results have inspired national-level public health agencies to dramatically change their disease-tracking practices. In this talk, Scarpino will describe the “shock” of discovering, through mathematical research, how poverty has been and remains the most important explanatory factor for the spread of disease. As diseases and their treatments continuously evolve, Scarpino asks what modern plagues—influenza, pertussis, arboviruses, chikungunya, dengue, West Nile, tuberculosis, and HIV—share in common with, say, an 1854 cholera outbreak. He will present three ways in which studying the impact of poverty on disease, through a complex systems lens, has improved our scientific understanding of epidemics. Specifically, he will explore the influence of poverty on the scale of influenza and Ebola virus outbreaks. Scarpino earned a B.Sc. in biology from Indiana University Bloomington and a Ph.D. in integrative biology from The University of Texas at Austin. 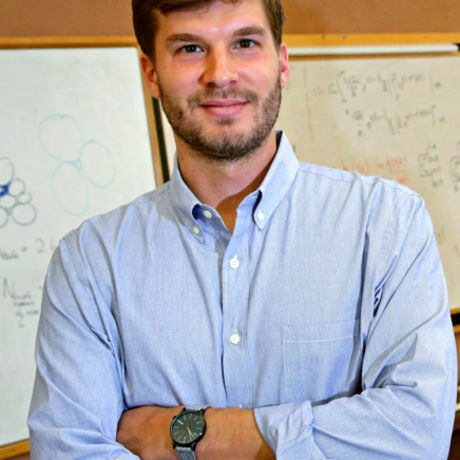 His dissertation research was supported by a National Science Foundation Graduate Research Fellowship and a Doctoral Dissertation Improvement Grant. He attended the Santa Fe Institute’s Complex Systems Summer School in 2010. This talk was supported by the St. Vincent’s Hospital Foundation. For over 35 years they have been supporting the Hospital and community.